What we have here is an autographed Bobby Hull Chicago Blackhawks official game puck. 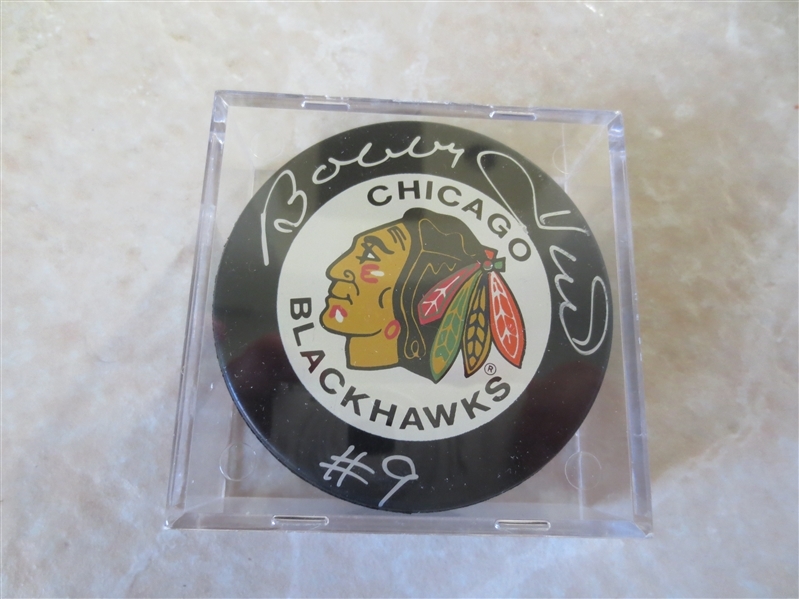 He has signed it Bobby Hull #9. There is no letter of authenticity so examine carefully as there are no returns.